HomeOther NewsWorld Chess To Get To The Heart Of The Game? Organisation to ask players to wear biometrics devices during play in effort to enhance spectator experience. When it comes to online chess event coverage, it seems that commentary, webcams, confessional booths and engine analysis, just doesn’t cut it any more. Not according to World Chess, anyway. An article in the Daily Telegraph, reports that FIDE’s broadcasting partner also has plans to begin asking players to wear biometrics devices. Interesting talk, for sure. However, is this really the case? Having thought about it, I am not so impressed. I can imagine that those who subscribe to World Chess already, might find this idea an interesting addition. Does it give them value for their money, though? Personally, as a chess fan, it is information with regards to the goings-ons in the game that is of value to me. It is hard for me to see where and how biometrics will provide this. The first question, is will it be relevant? After all, chess players can be a strange breed! Top players, especially, are enigmas. On one hand, they are able to stay calm at the toughest moments. On the other, they can get wound up by the most unlikely of things. There is then the fact that they also spend half of their time walking around, which in itself will influence their biometrics readings. Assuming (perhaps wrongly, time will tell) that this idea is not polygraph technology, what information will it add? Will there be any concrete basis, for example, that a certain reading means stress or otherwise? If not, what will it actually offer about the game that is of use or that can not already be deduced? After all, if a good move is played, or if something is missed; if a player is in trouble or vice-versa, it is a no-brainer that their heartrate is likely to be affected in some way. Perhaps I am being stupid, but I see no advantage to the chess fan in being able to merely watch the obvious stated in numbers or graphs. Furthermore, will we really know what the player is thinking from biometrics, as claimed above? Or, is it more a case that we may, possibly, know how they are feeling? If their thoughts don’t come out in a confessional booth, or post-mortem, or press conference, then how is this going to lay them bare? Thus far, the suggestion that it will, seems to be quite the exaggeration to me. 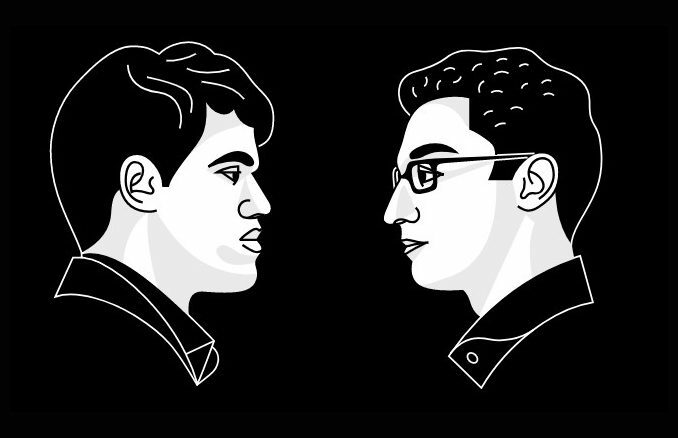 And then there is the opinion, that biometrics will make chess more exciting to watch. Really? Let’s imagine that following and analysing a game does nothing for someone. Or, that watching players do battle is like watching paint dry for them. How will biometrics up the ante? Chess is not ‘high-octane’ says Leon Watson, the writer of the above Daily Telegraph article. I wonder what your opinion is of that. It may not be formula-1, or football, or a 100-metres sprint, but I can honestly say that I have never failed to be thrilled by chess, whether it is watching or playing. The thing about Chess, though, is that it needs a certain level of understanding in order to get into. Formula-1, for example, is something that can be watched for the first time and the point got, the same for a 100-metres. Chess is not so simple. A first time spectator might have a vague idea, but is unlikely to have a clue as to what is going on. This, clearly, will influence their ability to be excited by it. Biometrics will do nothing towards helping in this area. It will not do anything to point out the nuances, strategy, plans, tricks, threats. In other words, if indeed our game lacks octane for people, it will do nothing to educate and inform them as to where it is to be found. The Real Heart Of The Matter? 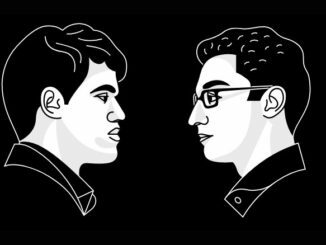 The above being said, the more I feel that the introduction of biometrics into the event coverage that World Chess provides, is little more than a novelty for novelty’s sake. On this I will be glad to be proven wrong and happily put my hands up to being a narrow-minded imbecile. However, in addition to everything else, one has to look more closely at the comment at the top of this blog. The part that sticks out with me, (like the proverbial sore thumb), is, “…develop the premium broadcasting experience…”. Rather than to serve the game or its fans, this could be the real point behind this move (no pun intended). It is no secret, that World Chess has been involved in some legal tussles since it took over the responsibility of broadcasting FIDE events. And from these tussles, it is clear that they were expecting to have a total monopoly when it comes to the live coverage of them. In this, they have been bitterly disappointed. Popular sites such as Chess24, resisted their efforts to restrict the moves of the games being broadcast elsewhere. 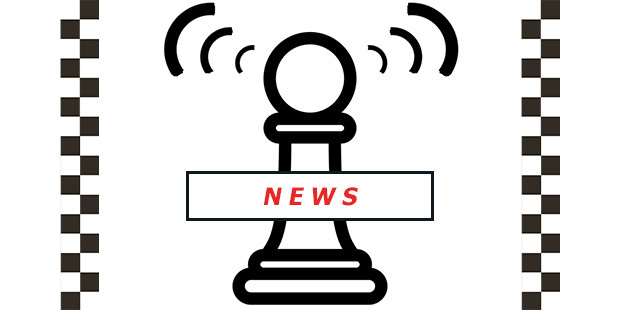 Despite being threatened by legal action, they continued to broadcast them regardless, asserting that chess moves are in the public domain and that broadcasting them is in the public interest. And when it arrived, the threatened legal action upheld that assertion, (as can be seen here). These court rulings have set a very clear legal precedent and have left World Chess with a bit of egg on their face. With the above in mind, it is very possible that World Chess has accepted (or, rather, been forced to accept) that apart from its live broadcasts, webcams, photographs, etc. there is very little that it can actually stake claim on where chess events are concerned. Therefore, it could be that they are attempting to limit the damage to their commercial interests and create more original, ‘trademark’, ideas. Adding biometrics to its live coverage, could be more of a Unique Selling Point, (to put it in business terms), than anything else. If this is the case, only time will tell if it will be an appreciated and/or successful one. With the device yet having to get the nod from both players and FIDE alike, it will be a while yet before we find out. What is your opinion on this, dear reader? Is this something that will make your chess viewing more exciting? If you are a World Chess subscriber, do you feel that it adds value for your money? And, if you’re not, will this change your mind? Hikaru Nakamura Retains Tradewise Gibraltar Masters!